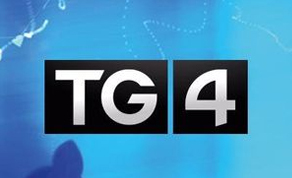 TG4 has announced a broadcast date for the student films developed through Nemeton TV and Waterford Institute of Technology’s Higher Diploma in Television and Digital Media Production. Having screened at a number of film festivals throughout Ireland over the summer, productions from the Nemeton TV & WIT will be given their television debut on TG4’s ‘Céad Seans/First Chance’ series. 26/10/18: The eclectic series ‘Céad Seans’ begin with ‘Deireadh Ré’, a story of five generations of women who have run the famous music pub Mooneys in an Rinn in Gaeltacht na nDéise. This evocative tribute features local singers and musicians and was directed by Ros na Rún’s Ailbhe Nic Dhonncha from an Rinn and edited by Ailbhe Courtney. 02/11/18: Máire Pháidín, Cara Linn (Our Friend) tells the story of a young Irish woman recently returned home with her American boyfriend, and their relationship with Máire Pháidín, a native Irish speaker in her late eighties. Máire has provided B&B in her home on Inis Meáin, the Aran Islands since the 50s. Her lively character and love of people and language has inspired visitors from all over the world to learn her native tongue - amongst them the returned couple Ceri and Pat. 09/11/18: In the film ‘An tAthair Ó Fiannachta’, director Fiona Griffin and editor Ryan O’Dwyer give us a touching portrait of the much loved Irish language scholar Padraig Ó Fiannachta of Dingle who died in 2016. The film features friends such as Mícheál Ó Muircheartaigh. 16/11/18: ‘Turas an Dreóilín’ is a warm observational documentary in which the filmmaker Donie Nolan captures the unique tradition of the Carrigkerry Wren Boys in his native West Limerick over Christmas 2016. ‘Jim of the Mill’ by Deirdre Orme and Pat Lacken, is a celebration of an unusual rural Tipperary pub that only opens once a week for a music session. Farming family Jim and Kae Ryan open their home with its flag-stoned kitchen, parlour and bar to the pubic once a week. Locals and many more from further afield fill the idyllic rural house for a mighty musical session each Thursday evening. The Higher Diploma In Television & Digital Media Production is run by the Waterford Institute of Technology in association with Nemeton TV, one of Ireland's leading production companies, and Údarás na Gaeltachta. The course has gained a high profile in the media industry and has an excellent employment record among course graduates. Films produced on the course have gone on to win Best Irish Language documentary at the National Student Media Awards every year since 2014.